7'6", 4 piece, Eagle Claw Trailmaster Fly/Spin combo. Line size 2 - 10 lb. Lure weight 1/8 - 1/2 oz., Fly line weight 7. 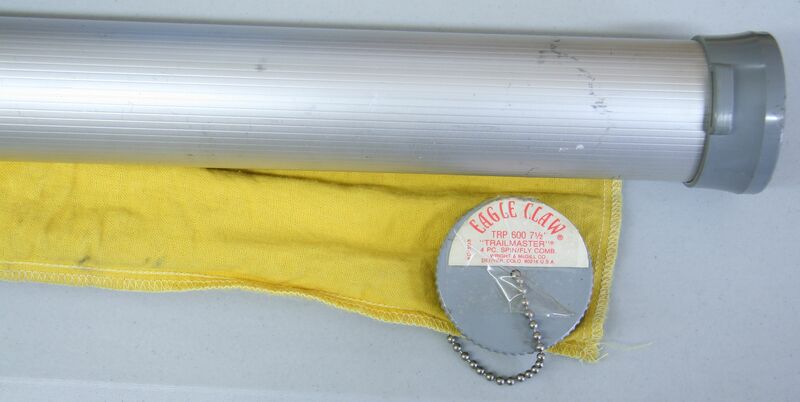 Includes original cloth bag and aluminum tube. Excellent condition.